The Space Race is on! New technology has launched humanity out into the stars. Take control of your own corporation looking to establish a foothold in this new Wild West. That’s the story behind Exploration, a new sci-fi board game up on Kickstarter that includes elements of deck-building, area control, and has unique orbital movement as well. 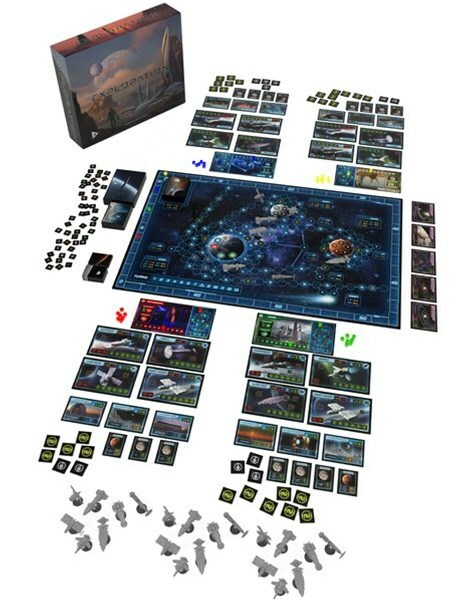 Exploration is an innovative space themed game with a mix of deckbuilder, area control and unique orbital movement mechanics. You will take control of corporations at the start of the new Space Race. Send out colonization ships, dispatch science expeditions, collect resources, modify your designs, develop new technology, or even sabotage your opponent’s missions. The campaign is up and running now. It’s set to go for another 29 days.